Wellness is a holistic aim that can elevate your mind, body, and soul with benefits that you can feel from the inside and out. I’m always looking for that magical, beautiful, and hidden destination that combines travel with wellness. During my healing journeys, I am constantly seeking to immerse myself into a deeper understanding of wellness, health, and happiness. My goal is to always come back home feeling more relaxed, more knowledgeable, and detoxicated. 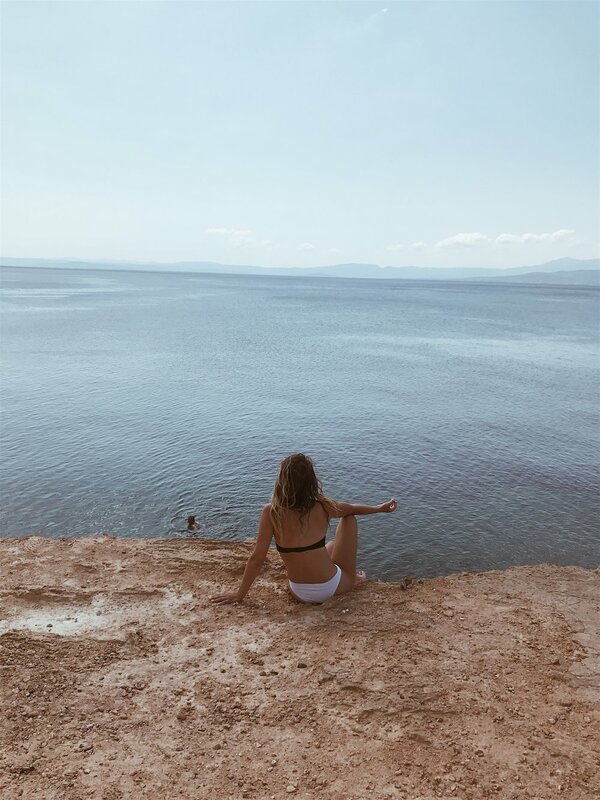 So when I learned about Edipsos, the most healing place in Greece, I knew I needed to go explore and unlock its hidden treasures. Greece is the birthplace of medicine. The healing powers of the Earth have blessed its surface and endowed Greece with thermal mineral springs and natural baths. This tranquil little town, Edipsos, located in Evia about 3 hours away from Athens, has more than 80 spring sources with high temperatures ranging from 82 degrees to 176 degrees. These mineral spring baths have rejuvenating properties that people seek to find a balance for their mind, body, and soul. 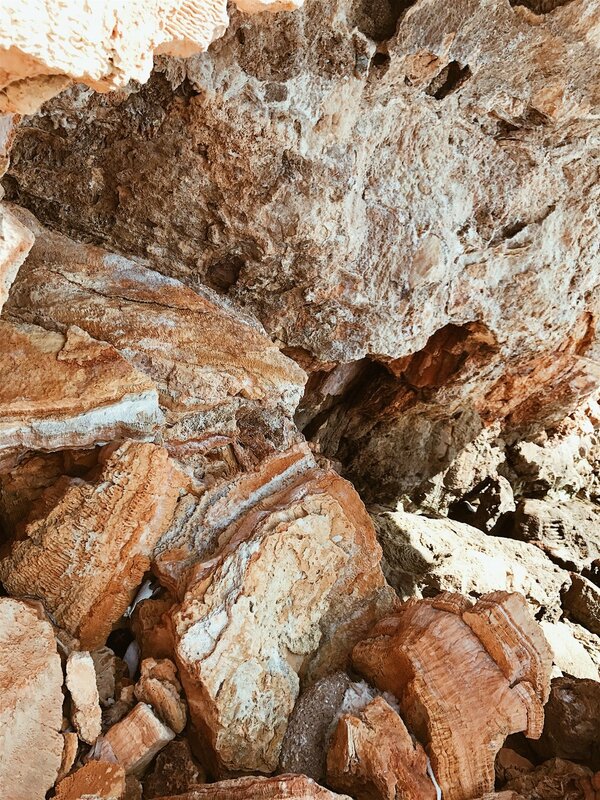 Edipsos is rich in calcium, iron, and magnesium which surrounds the beaches, rocks, and cliffs. The waters here are notoriously famous for having healing properties that heal bones, joints, muscle tissue, and said to cure diseases and disorders. As we arrived, I wasn’t sure what to expect, therefore I decided to let go of any expectations at all. Milti went in the water first. He then ran over to me and told me that I must come join him in the water immediately! We swam from a different part of the beach to the thermal water and OH MY. First thought, OUCH. I was surprised that the water was actually hot. How interesting? The water is so hot because it passes directly through the core of the Earth. I’ve never felt this warm of water in the brisk cool ocean before. I also was amazed at how the Earth created these round natural bath tubs to lay in. It seemed as if someone carved it in themselves for people to lay in, but nope, it is all naturally created by Mother Earth herself. Lying in the natural stone basins as the healing thermal water poured in was one of the most relaxing and satisfying things I’ve ever done. Something I thought was interesting was when you dipped your foot in the water, you would almost burn off your toes, but when you put your whole body in the water, your body temperature would regulate itself and you didn’t feel the burning hot water. I knew I needed to spend more time at this place rather than just the day. Therefore we booked a room right next door at Thermae Sylla Spa which is a luxurious 5-star Wellness Hotel. How fitting. Our room was large, clean, modern, and had 2 small balconies that overlooked the sea and mountains. We spent the next two days soaking in the ancient rejuvenating waters. For those of you who don’t know, I’ve always suffered from auto-immune disorders. I was born without an immune system and had to build it up through out my childhood with rounds of shots and steroids. I now suffer from psoriasis, arthritis, and a few other annoying problems that are auto-immune related. Fixing and eliminating these issues plays a big role on my healing journey. So this healing water was not just for beauty and rejuvenation purposes, but for something way beyond that. 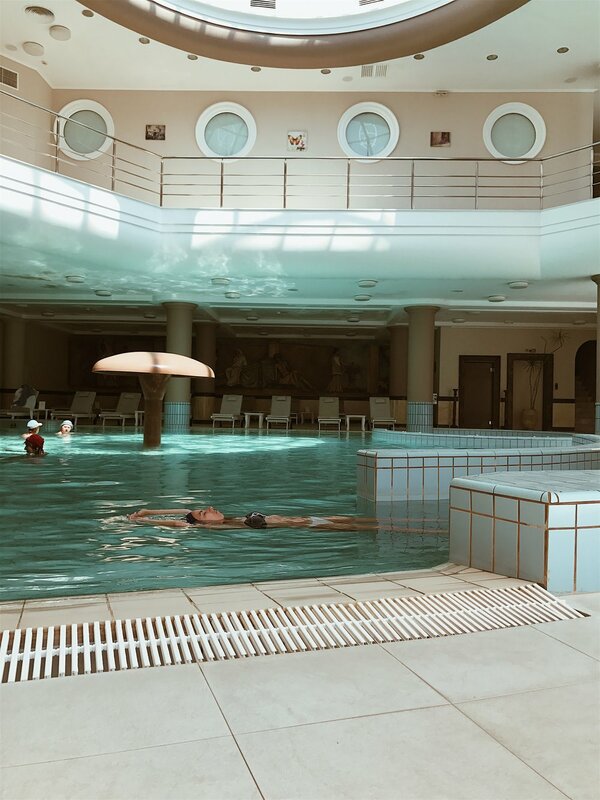 While staying at Thermae Sylla Spa we decided to book some spa services as well. I booked a 60-minute deep-tissue massage and a Cleopatra bath. Before using the spa, you need a medical examination and to visit the on-site doctor to approve all services. Before our massages, we went into the pools inside the hotel. This is not your average pool. The pool here is built directly on top of one of the natural hot springs, therefore the pool water is 50% thermal water and 50% seawater. There was also no need to swim since you would just float. We then enjoyed the Farmer’s Steambath. There was a large eucalyptus tree in the middle of the Steambath room. The smell of the freshly cut eucalyptus tree was strong but immediately made it easy to breathe. This was good for deep breathing, fat loss, and deep cleansing for the skin. The deep massage was one of the best massages I’ve ever received. I would say it was pretty close to the amazing massages I had at Faena Hotel and Azulik Mayan Spa. To read about my Faena spa experience in Miami, click here. To read about my Azulik experience in Tulum, click here. After our massages, we enjoyed a healthy lunch and found ourselves back outside in the natural spring water. After enjoying that for another hour, I went back inside for my Cleopatra bath. What is a Cleopatra bath? My therapist slathered me from head to toes in goats milk, goats butter, and essential oils with a big brush. You might think that is gross, but it actually felt and smelled really nice! As she slathered this on me, I laid in a waterbed which was draped in a sheer bed canopy. Very Cleopatra like! I then was wrapped in a large blanket and laid in a thermal waterbed for 40 minutes with the lights out, the candles glowing, and the sounds of the ocean nearby. When the 40 minutes was up, I was instructed to not shower or bathe for 3 hours. Always being the extremist that I am, didn’t shower until the next day. Which was then followed by the whole morning and afternoon in the ocean and enjoying the outdoor thermal water yet again. The outcome? Psoriasis? GONE. Rosacea? GONE. Arthritis? GONE. Bloated? GONE. I was glowing head to toe, my face and body were silky smooth, my hair felt incredible, my body felt great, the feeling of complete and total bliss took over me. I don’t think I’ve ever felt better. Not only was this experience healing physically, mentally, and emotionally, but spiritually too. I felt completed aligned and in tune. I felt open to receiving signs and messages that The Universe was passing to me. This also happened to be my Dad’s 2 year anniversary of his passing. I can think of no other way I’d rather spend this day, healing and connecting. It is very clear why this historic place is considered one of the most distinguished healing places in the world. This was such a unique experience that I recommend to anyone in need of a healing or relaxing getaway! Legend says that Hercules himself bathed in these waters of Edipsos before each of his “labours” in order to relax and regain his strength. I know the feeling well Hercules, I am right there with you! The best part about this experience? The thermal waters are free, open to anyone, and gifted to you by nature! To read about the rest of my experience in Evia click here.